Only minutes east from Mesquite, you´ll find the beautiful city of Forney TX, where approximately 15,000 others have already chosen this as their place to live. Join the many others and make your move to Forney, where the city is sure to have exactly what you´re looking for and offer many great conveniences. Shopping, dining, and entertainment are only just a few of the things that you´ll be able to experience while living in Forney, TX. You´ll be surrounded by lots of trees and greenery that make this an ideal place to live and your expert Realtor Debbie Yates is excited to start working with you on finding your perfect home. Get involved with a city that continues to deliver an ideal way of living and lots of friendly neighbors. Call Debbie today for a list of homes, personalized and hand picked by her to match exactly what you´re looking for. Visit a variety of local coffee shops to start your day, with popular choices like Starbucks you´re sure to get your morning coffee fix. There is always great place just around the corner to whip up a great energizing drink, usually only minutes or seconds from your home. If you´re hungry and in the mood for something hot and delicious, take your pick from any of the local Pizza Hut, Jim´s Pizza, or Pizza Grand for slice with family and friends. Or, drive through one of the many fast food restaurants where you´ll have tons of options. The possibilities are endless, and there´s always something great to eat nearby! Debbie will work hard to locate a home in Forney TX near the things you love to do, so you can sit back, relax, and enjoy your move. Call Realtor Debbie Yates for a list of homes customized for your specific needs! You´ll have no problem getting your errands done with so many places just around the corner. Lots of locations for local banks like Chase, Bank of America, and CitiBank make depositing checks easier than ever. Also, there will be no problem finding a grocery store to do your weekly shopping trips. Big names like Lowes and Brookshires: Retail Stores make it easy to find what you´re looking for. 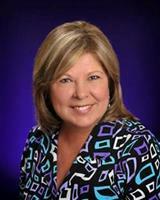 As your Realtor, Debbie Yates will help you find what you´re looking for, then find you a home that's close by. She works diligently to find you homes that you´ll love so that you can enjoy all the great things Forney Texas has to offer without having to worry about where you´ll live. Call or email her today for listings in this beautiful area and you´ll be making a great decision. She is anxious to hear from you and can´t wait to start working with you to find your new home!